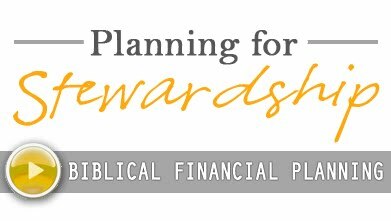 Stewardship Strategies for a Year of Low Income; Savvy Financial choices to help you make the most of a slim year. A while back my wife and I were home and had the kids in bed when all of a sudden the house went dark. I peeked outside and the entire neighborhood was pitch black. I took the opportunity to go outside and look at the stars. It’s amazing how much you can see up there when the neighborhood isn’t lit up. While I was standing in the lawn looking up the power came back on and the spectacular view faded away. Had I stayed inside I would have missed a great view of the night sky with no ground light. It’s not often I get that opportunity from my yard. We see families who have special circumstances arise where they go for a year or more with very little income. For some folks it’s a business that is struggling, for others it’s a chance to serve in long-term missions. No matter the reason for a year with low income, these years can present an amazing opportunity to take advantage of financial planning strategies that aren’t available during a year of normal income. We work with wonderful couple who has decided to donate their time in Africa at a medical hospital. They are excited to serve oversees and to use their talent to make a difference at a missions hospital. The family plans to return to the states in a few years and will go back to making a physician’s salary for years to come. Take Taxable Gains – If you’ve got appreciated assets that have pending capital gains, this is the perfect year to consider capturing gains. The current tax rate for folks below the 25% tax bracket on capital gains is 0%. That means that you may be able to sell assets with a gain and pay zero tax. For example, if you bought a stock at $10 and it went up to $100 and you sold it, you would owe capital gains tax on $90 of gain. If you sold this stock in a big tax year you could pay as much as 20% to the federal government and more to the state. By selling in this low tax year and staying in a low bracket, you may be able to avoid paying any tax on the sale of the security. Convert an IRA to a Roth IRA – In the past, while you were making more money, you deferred income to save taxes by contributing to your retirement accounts. Now that you have a low income year it may be wise to pay the tax on that income. A Roth Conversion allows you to move money from an IRA to a Roth IRA. You are required to pay the tax on anything you convert, but if you deferred the tax in a year when your ordinary income tax rate was 35% and you convert to a Roth IRA in a low tax year, you could pay substantially less. Deductions could push your tax rate on the conversion below the 10% threshold. The money you move to Roth IRAs grows tax free. That means that the income from these accounts will give you income with no tax liability for the long term. Your tax return is a tricky thing. There are a ton of moving parts. Depending on the state that you file your tax return in, you could save even more. It’s crucial that you engage your CPA and your financial planner to run the numbers. For the missionary doctors in Africa that I mentioned we are converting $30,000 a year to their Roth IRAs and they’ll pay an extremely low rate. After a few years serving abroad they’ll come back with their financial house in order. For this family, the memories they are making serving in Africa at a missions hospital will impact their lives forever, and because of a bit of timely planning, the impact of their wise financial stewardship will pay dividends for years to come. Whether you are taking a year to serve abroad, find yourself in between jobs, or your business is slow, don’t miss this chance to make your low income into an opportunity. Avoiding Variable Income Indigestion: How to live better on an inconsistent income. I’m a fast eater and sometimes it can be a bit embarrassing. Imagine that you and I are having a meal. Our plates are served and you flap your napkin up in the air to unfold it and lay it in your lap. By the time the napkin leaves your view you see my plate rattling on the table…empty. That’s usually about how it goes. I’ll spend the rest of the meal looking at other peoples’ plates wishing I had ordered their meal or eaten a bit slower to savor each bite. Managing a variable income - Income for many families can be the same way, especially when it is sporadic. It is crucial that families with a variable income manage their money well. We see too many families that use their money like I eat my dinner--way too fast! If you aren’t careful managing your budget with a variable income, you may wind up financially famished until the next payday comes. Whether you work on commission, own your own business or get paid when a job is complete, a few minor tweaks to your finances can make all the difference. Here are a few steps to help your family manage a consistent budget on a not-so-consistent income. Fund your future – In order to make this thing work, you will need to take a lumpy income and make it more predictable. We’ll talk about a few steps in the process but the first action is to stop spending directly out of that income. Use a savings account as a place to receive your variable income. Any income you receive can be placed into this account. 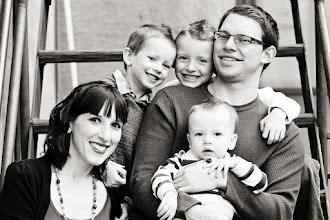 This account is the start of a more predictable financial plan for your family. Know what goes out – If you are going to thrive on a variable income, you are going to need to get personal with your monthly expenses. You’ll want to nail down what you really need to live on each month and to settle into a realistic budget. Add up all of your monthly expenses. You can use a spreadsheet or a pad of paper, but without this step you’ll have a hard time getting ahead. Use your credit card statements and bank statements to close in on these costs. You should wind up with a list of all of your monthly expenses and a total monthly budget amount. Pay yourself a salary – Now that you know what you need each month in order to make it, it’s time to put yourself on a salary. Set up your checking account to receive enough to pay your monthly budget. You can have this money electronically transferred in from the savings account that you set up. Now you no longer have a variable income. You have a fixed income with a budget and you are saving the difference. See into the future – Now look ahead at this account and the variable income that you expect. You should have more money in savings at the end of the year. If your budget exceeds what your variable income can afford, you’ll need to start playing with the numbers. You can reduce the amount you spend each month or you can go find more income. If you are drawing your savings to feed your monthly budget, you are in the danger zone. Once your savings run out you won’t have enough each month and you won’t have a back-up plan. It’s better to make hard changes with a savings account than without one. Diversify your income – Once you have put this process to work and your savings account has grown, you can invest these assets. Whether you open an investment account, or invest in real estate or into your business, these new assets can help supplement your income. 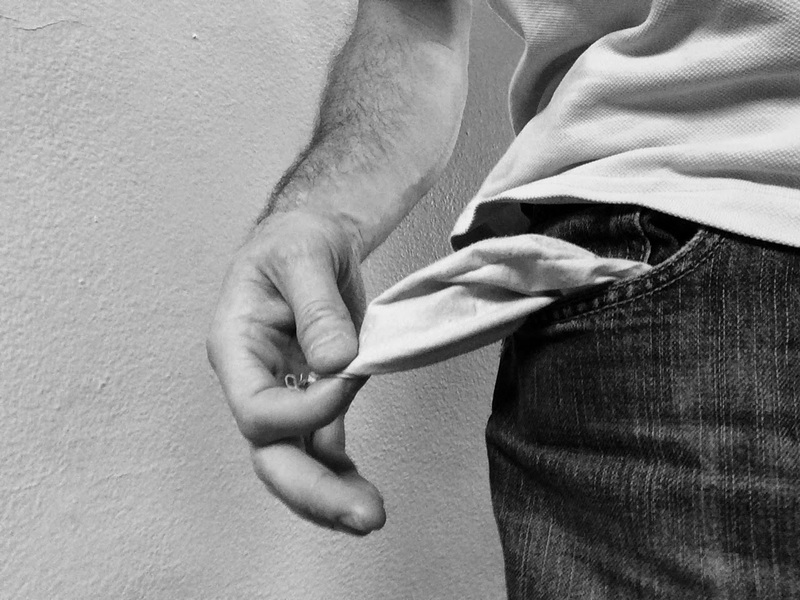 Ignoring the challenges of a variable income can lead to financial indigestion. Slowing down and being thoughtful will leave you savoring the flavor of a great financial plan. Check out the story of Joseph in Egypt. This is not a new concept. Through God's favor Joseph is allowed to lay out a prudent plan of saving during times of abundance. I really do eat pretty quickly. My business partner compares me to the second dog in this video. Our father below will be enraged that you have let your patient get to this place. His regular church attendance is a sign of how much you still truly have to learn. It is no matter now. You are where you are and you must work with the human to move him toward the separation of Church and Self. Let me explain. The enemy desires for these creatures to be one with him. He desires that they be set apart from all of their normal infirmities and that they lay those things down as a sacrifice to him. He suggests that they put to death all of the little things that we would use to own them and to control the humans for our purpose. This act of dying to self is hard for the humans to do. We have crafted the things of this earth to be so appealing to them that they have trouble laying these things down. The enemy has taken Sunday but we must maintain that day as the only ground that is set apart for him. You see Wormwood, in order to be one with the enemy, to be truly set apart from our ways, the human must give every moment over to the ways of the enemy. You must not let this happen. If you can keep your man focused on himself and the worries that we throw at him in the world for six days, we can reclaim the seventh and take up residence even in the pew. The enemy has designed the game so that the humans can bring him glory through their work. “Whatever you do, do it all to the glory of God…” and other such talk. Whether your subject is a butcher, a garbage man, a CEO or a leader in ministry of the enemy, if the patient lives out that unity and oneness with the enemy, your cause is lost. If your man lives with that holy-spirit kind of life where love and joy and peace and all of those other grievous acts pour out naturally, he is able to move the cause of the enemy forward in his daily work. In fact, we have had more butchers and garbage men and CEO’s getting in our way than anyone would believe. They have a special place to interact with folks where it counts. These laymen can do major damage to our cause. Now is the time to hollow out your man’s faith. Convince him that he must seem patient and kind and good on Sunday, but encourage him to forget it by Monday morning. Let him dress up for the folks at the service and be on his best behavior. Convince him that he is some sort of lower class Christian than the pastor. He must not look at his daily work as a ministry for that other kingdom. Your man must be self absorbed, grumpy and grumbling on the six days of the week that matter most. The enemy created on the first six days and rested on the seventh. Men are so quick to forget that. Without the six days, God would have just rested. He intends for the Sabbath to fill your man up to minister to others and to create havoc for us the rest of the week. We can’t allow that. Encourage your man to judge others at the Sunday service and to feel judged. He’ll dread it every week and perhaps you can keep him from connecting his new found faith with real life. You’ve heard of the separation of church and state. The men downstairs have taken that premise far beyond where we ever imagined. That doctrine has the power to destroy schools and nations. Lucky for you, the same doctrine has the power to destroy your man. You must separate his church life from his work life. Feed him a constant stream of worries about what tomorrow holds. Don’t even let him conceive that he could do the ministry of the enemy where he is. Convince him that if he keeps his head down and stores up wealth, one day, perhaps he can retire to a life of ministry. If you have your man six days, the seventh doesn’t much matter. If you shape his career, he’s not likely to have anything left to give in his older years. Your subject has been spending time trying to get his finances in the right order. You say he has attended some kind of class and he intends to continue participating for weeks to come. It is true that we have held your subject in a state of constant worry with his paycheck-to-paycheck living. We have caused many arguments and distractions and a hope that more money would one day remedy all of his worldly problems. Wormwood, if you are not vigilant you will see this class and these life changes leading your subject toward that straight and narrow life that we would try to keep him from. We have seen many men line up with allegiance to the Enemy and there is real risk here. You’ve said that he has saved $1,000 in the first two weeks of the class and he’s been committed to skipping out on different indulgences which we once used to control him. This does seem like a loss to you now but if you stay a step ahead of him, my dear nephew, you will have him. I’ll lay out a plan for you and point out a few matters that you must attend to straight away. So far your subject hasn’t had money to love. He has simply loved the idea of money. He has always bowed down at an altar with his eyes veiled. He worshiped money that he did not have. Now that it will be in his life we need not fear that it will change him. Simply encourage him to love the idol that he now holds. Let money be his god and let it be his ruin, just as before. Here is the key--your subject must be catapulted from his former state into an existence focused on this subject of money. Don’t fear the savings or even the paying off of debt. We have had to retreat from those battle grounds by now. Your man has taken them firmly. We’ll need to use those victories to lure him into a trap that will hold him more firmly than debt. You see, when he was without money he was in a state of dependence on the Enemy. We need only to take away that dependence by creating a new god. Convince your subject that if he removes all debt and saves enough he won’t have to depend on anyone and he won’t answer to anyone. The humans have a tendency to separate the spiritual world and what they can see. By creating this security in wealth we can lead your subject along like donkey trotting along after a carrot on a stick. No amount of money can ever be enough but as your subject sets one goal after another he will feel like he has accomplished something. His love for money will have distracted him from his original pursuit of living as a steward. That really is the biggest pitfall in all this. If your subject truly embraces the role that the Enemy would have him in, as the steward, we have lost. You see, those folks that line up their allegiance to that Kingdom will surrender everything to it. That is the real danger. Don’t let him fall out of the center of his own universe. Use this as an opportunity to build his own kingdom and do all you can to keep him from setting his gaze on Heaven. A man who has fallen into the role of steward will start thinking about his neighbor’s needs and praying for his fellow man. To combat this you’ll need to encourage miserly thoughts. Turn this young man into a curmudgeon at heart. Convince him that he can’t afford to think about his neighbor if he will reach his goal of being financially free while pushing those charitable thoughts down the road. Encourage him to think about how he will love his neighbor when he has made enough money and how charitable he will be then. We used this scheme when Jesus was on earth. You will remember the story of the Rich Young Ruler. He was sure he had everything he needed to please the Enemy but we had him by his wealth. You’ll be inspired by that account. 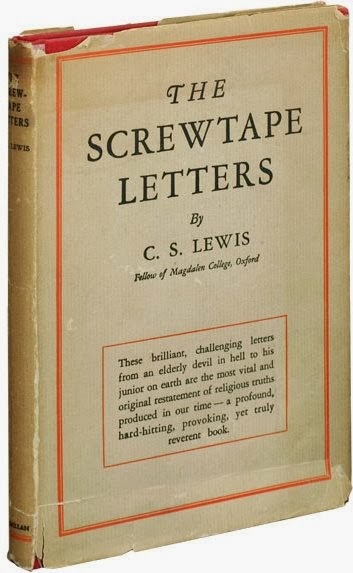 I am sure that most of you have heard of The Screwtape Letters by C.S. Lewis. The book is a series of letters written from the perspective of Screwtape, an officer of some sort in the army of the evil one, as he mentors another minion named Wormwood. If you haven’t read the book it is excellent and does a wonderful job of opening our eyes to the temptations that may come our way. I have been pondering for a year or so how to write about the subject of stewardship and finances in an interesting way. You may have read the series of articles from the perspective of a $100 bill. You can check those out here. After recently reading a few more letters from C.S. Lewis’s book I had to try my hand at his style using a modern day struggle as we steward our time and relationships. You stated in your last letter that your patient has downloaded a Bible application on his smart phone. I can understand your concern that the words of The Enemy are more accessible now than ever before. You can imagine the fright that we had when the printing press came about in 1450 and Bibles began being scattered to the ends of the earth. We had the same scare with the advent of the internet and mass digital printing. You need not fret, Wormwood. This new technology is no different from the old. While the words of The Enemy are more accessible today than any other time in history, the distractions are greater than ever as well. We have combatted the influence of the Bible with direct mailings, romance novels and monthly magazine subscriptions. We infiltrated the internet with every sort of trap imaginable; some of our best work has been brought about through this technology. Anything to distract the humans. Although the Bible application will be in the patient's hands at all times, we need only to encourage the constant distraction and his desire to put his new device to work in every way possible. If the device is as handy as we have heard, your patient will have so many applications that he won’t be able to find the Bible in all the mess. You may even be able to convince him that it is old fashioned and irrelevant in this modern age. You also mentioned your troubles with his relationships on social media. There is no need for concern here. These are not real relationships but only surface connections. You see, all humans are built to be connected--they thrive in real relationship. The Enemy reveals all of those nasty habits--love, joy, peace and so on--when the humans are in relationships. This device may be just the ticket we need to win the war for Our Father Below. Encourage your subject to desire these surface relationships. When he sees the pictures of other’s possessions, lifestyles or appearances he will covet them and feel inadequate and empty. Encourage him to “pin” or to “like” all the earthly things he wants. Even though your subject doesn’t have the resources to buy these things he will be pinning these temporal pleasures to his heart, planting the seed of discontentment. Once the seed takes root, the device will provide everything it needs to flourish and grow. We can use any distraction to conceal the danger of your subject reading the Word of the Enemy. If we can keep him out of that book we can keep him from sanctification, from wisdom, and maybe even pull the subject’s heart and loyalty away from The Enemy. Most importantly, encourage your subject to use his new smart phone regularly. When he travels, make sure that it itches in his pocket to come out and be useful to him. This will keep him from the divine appointments that The Enemy has for him. When he has a free second, help him feel drawn to the device so that he may forget how to sit and be still. When his family is present, divert his eyes to the screen thereby shutting them out as well. You will recall that The Enemy has said, “Can both fresh water and salt water flow from the same spring? Can a fig tree bear olives or a grapevine bear figs? Neither can a salt spring produce fresh water.” It won’t take much for us to ruin all of the redeeming qualities of this device for the Christian. As long as you can keep the subject distracted with these temporal things you have no need to worry. There is no age that can resist this device and while it is not evil in itself, we can use it as a weed to choke our patient. The Enemy would have your subject refocus from the temporal things to eternal things. Once that happens our cause is lost. This device is your ticket. Use every opportunity to choke out the Word of the Enemy and the love of others so that the patient remains fixated on the distractions. This is your chance to fill his life up with enough temporal pleasure and longing that he will never see beyond the moment or ever be satisfied.